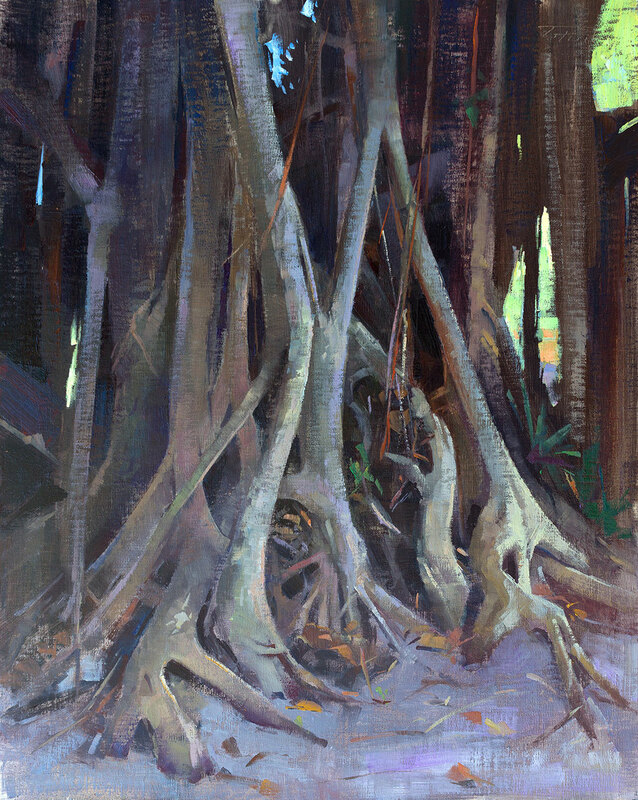 I was drawn to the root system of this banyan tree in Hobe Sound, Florida, a testament to its history and endurance. Neighborhood residents recounted their stories and memories of the tree while I painted. This piece won 2nd Place at the Lighthouse ArtCenter's 5th Annual Plein Air Festival.